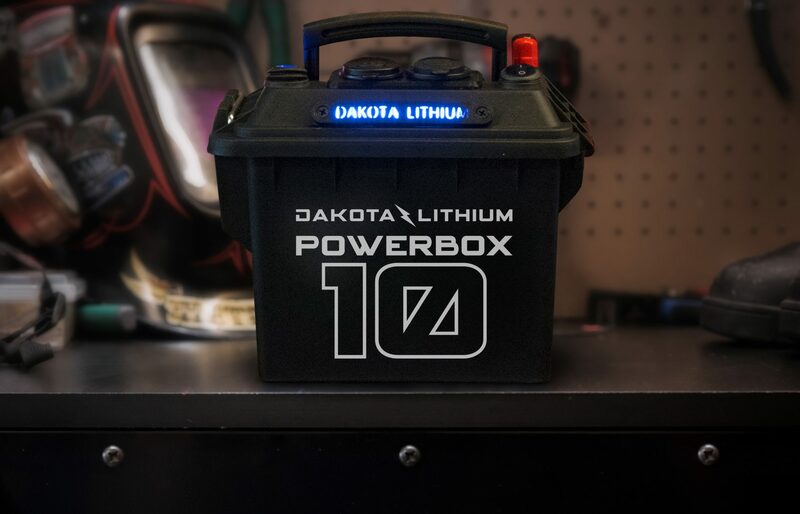 Whether you are camping in a tent, cruising in your kayak, or working off grid, the Dakota Lithium Power Box helps keep all of your electronics charged up and ready to go. 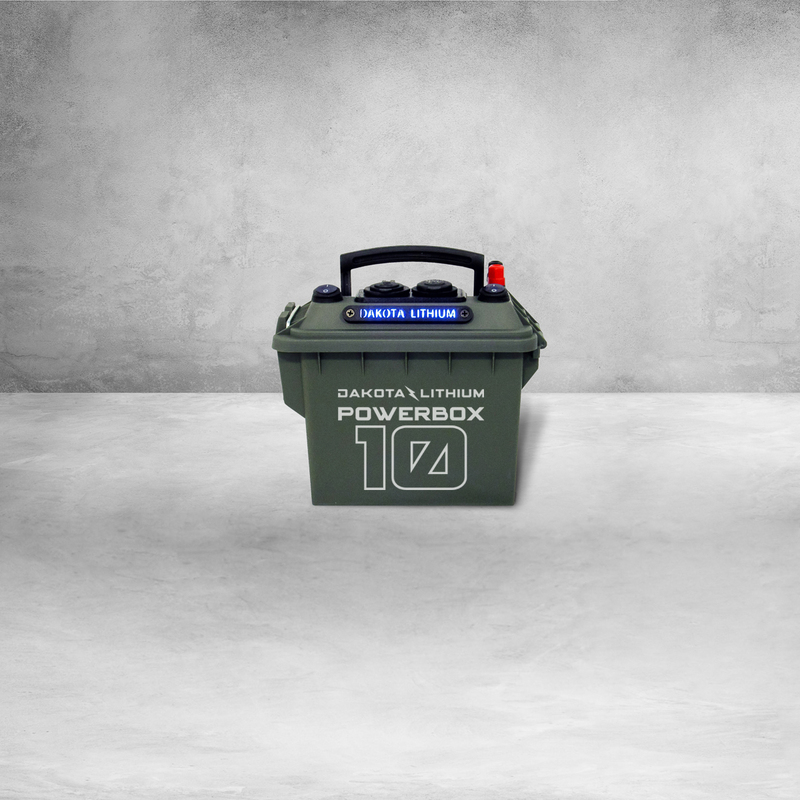 Built to power all your passions, the Power Box gives you the freedom to use one battery to power many things. 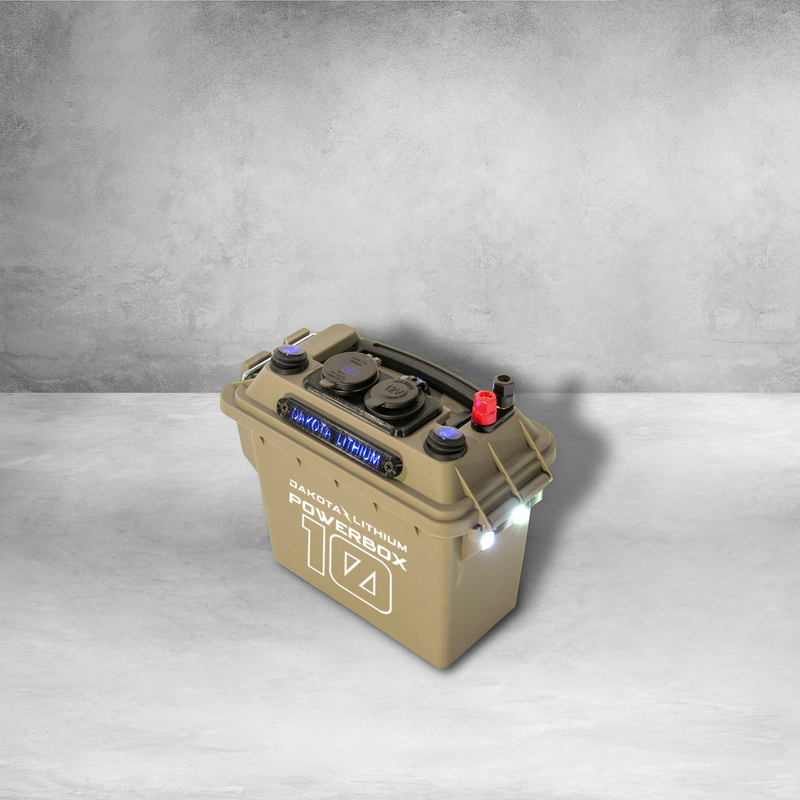 12v LiFePO4 charger included. Easy way to charge your phone, camera, or any personal electronics. Same type of socket that you have in your car. 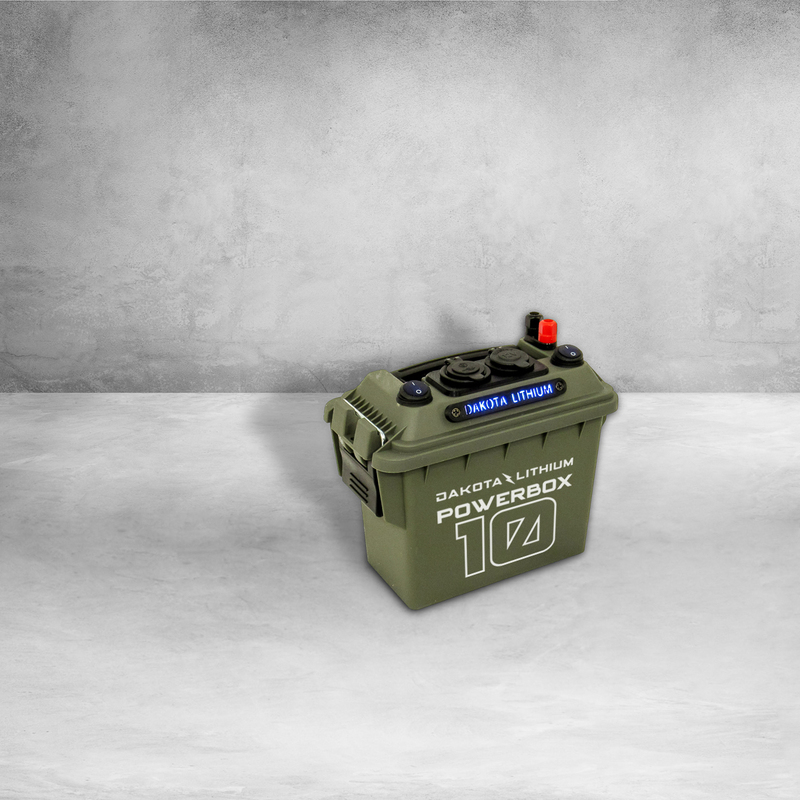 Used as 12v output and to charge your box. 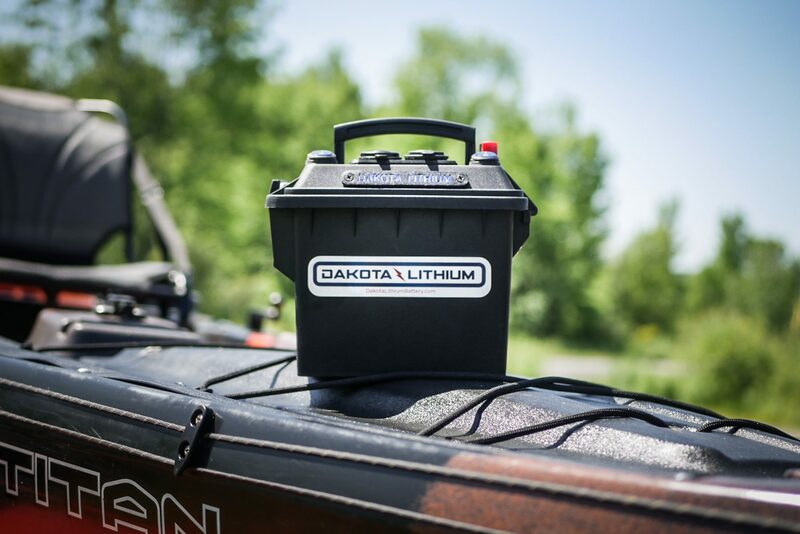 A versatile way to power many types of electronics, including fish finders, flashers, and small trolling motors. 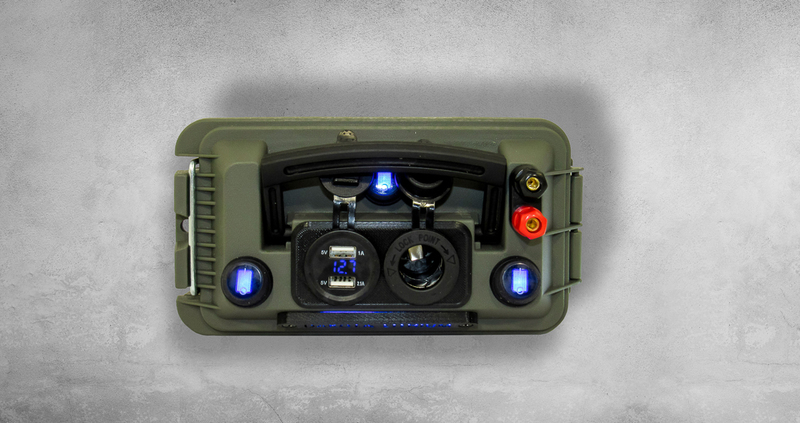 Make this power box into a powerful flashlight that lasts forever. Great for camping, kayaking, or emergencies. Provides real time data on how much voltage you are using. 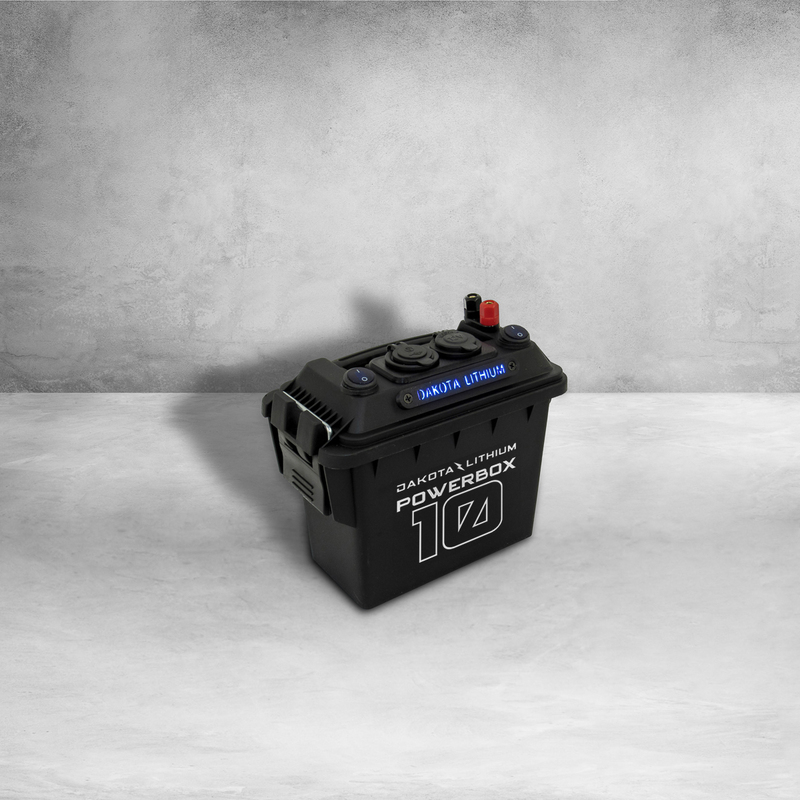 Battery is protected by a BMS that prevents overheating and extends life. 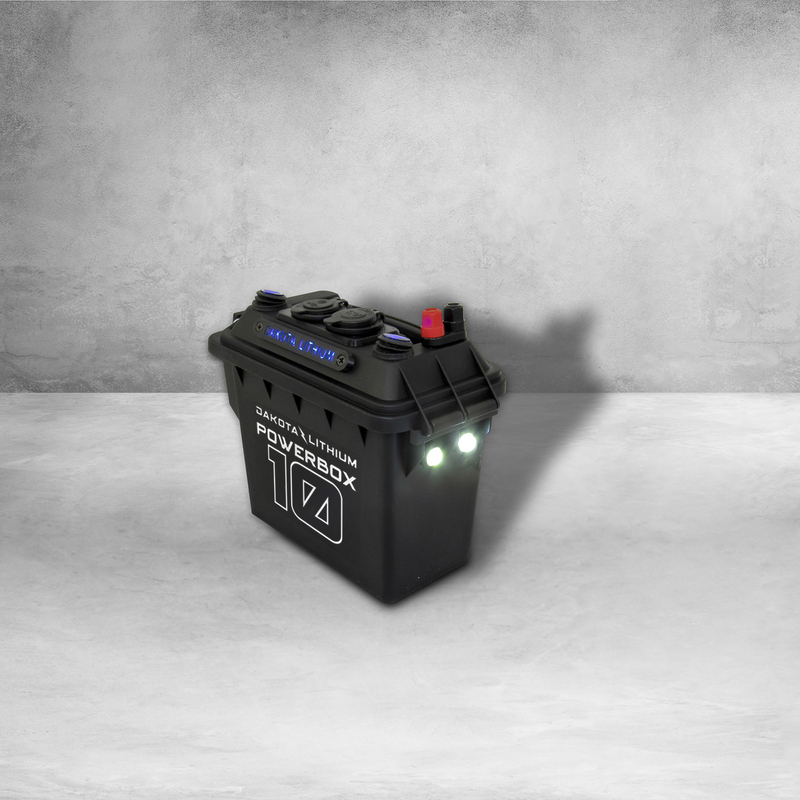 Electronics are fuse protected off the positive battery lead with a 10 amp fuse. Built to last. Water resistant and built for wet environments. Not submersible. Rubber caps must be replaced to ensure sockets are water resistant. 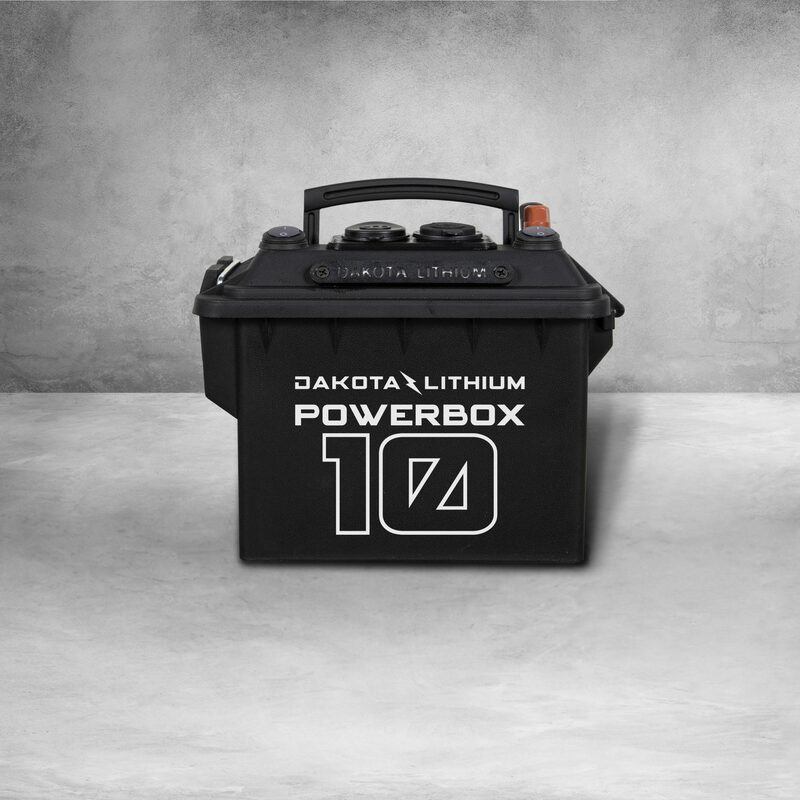 Dakota Lithium 12V 10Ah battery included. 8-1/2 in x 6-3/4 in x 4-1/4 in. Compact build with a very high energy density. 4 lbs. 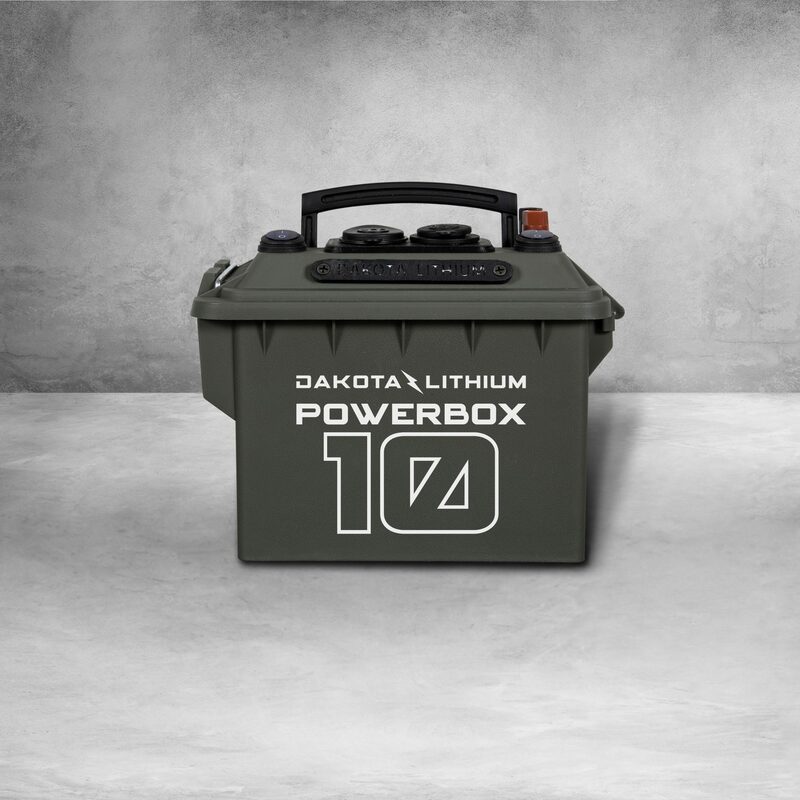 Lightweight box built for mobile power. 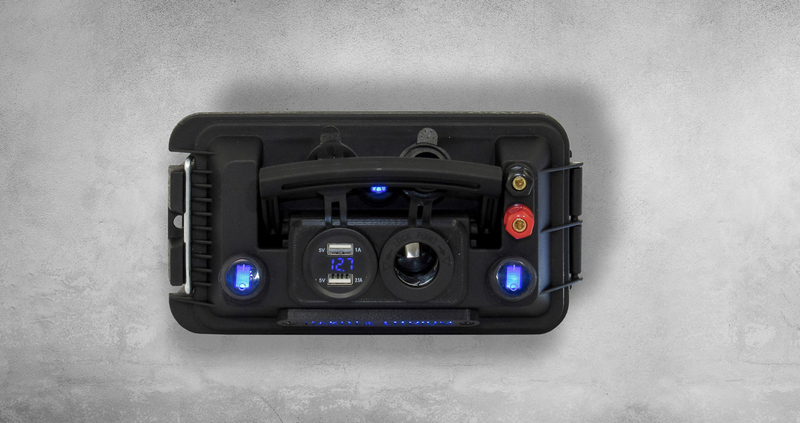 10 Amp Hours (Ah) will recharge an Iphone 11+ times, a laptop 2.7+ times, or run a fish finder for 50+ hours. One 20w solar panel will fully charge your powerbox in 7-9 hours. Two panels will charge it in 3-5 hours. 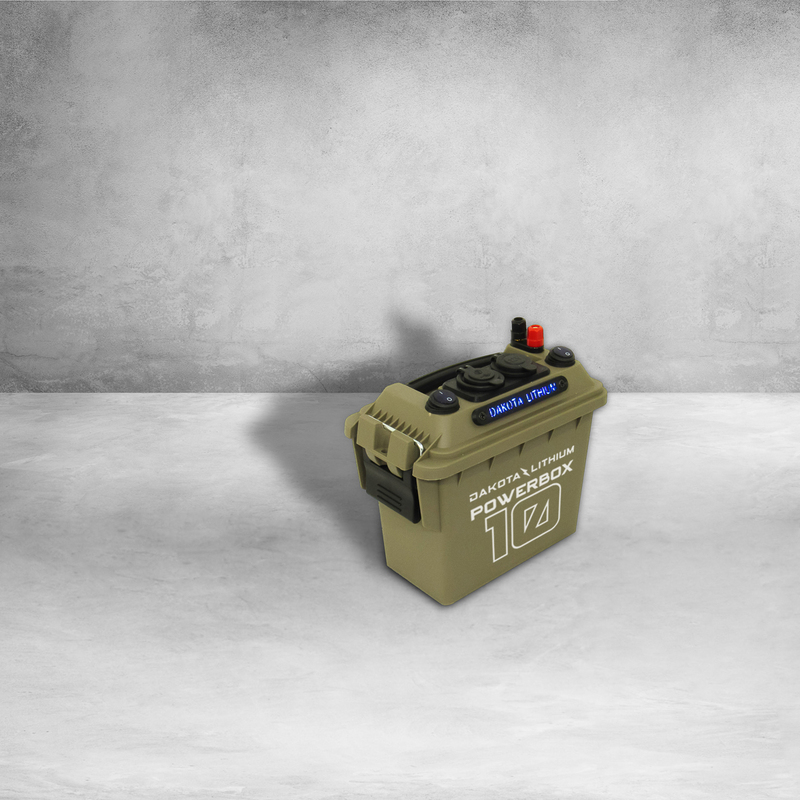 Well built, a lot of features packed inside the little ammo can. 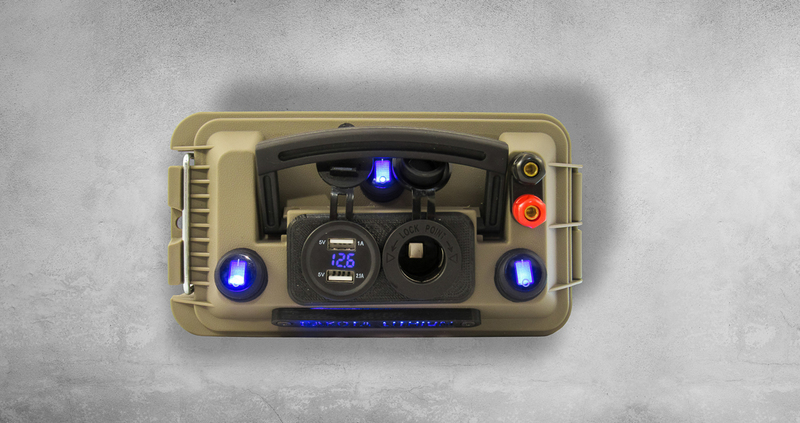 The USB charging ports comes in handy for those long days on the lake. The 10AH lithium battery powered my garmin fishfinder for a weekend of fishing on my kayak with power to spare. The cigarette lighter power port opens up a wide array of accessories you can plug into the power source. 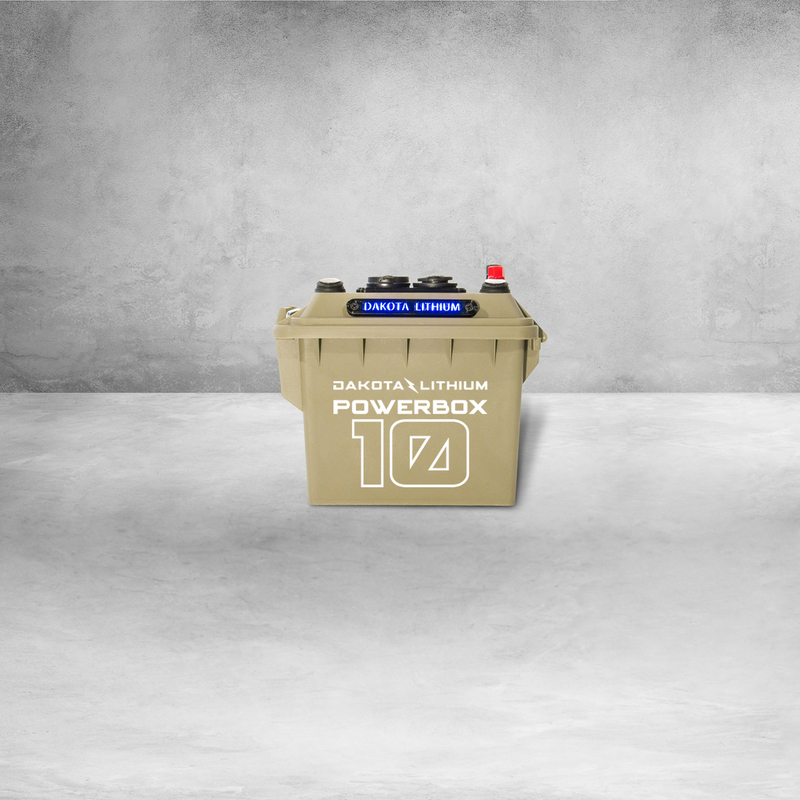 I would recommend this product and company to anyone looking for a mobile 12v power source.